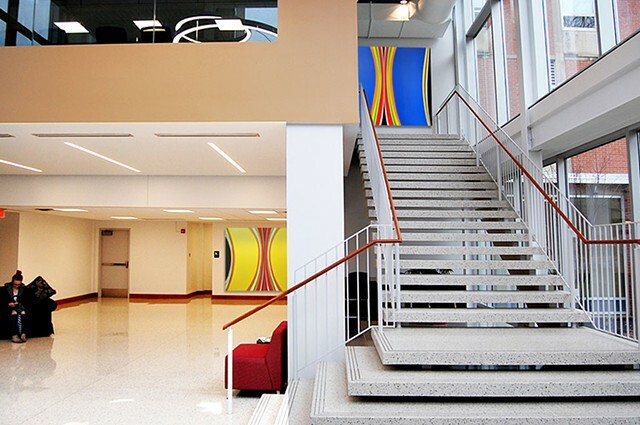 Kurt Herrmann - Art - " Blue Stella " and " Igor's Birdy " installed at Ulmer Hall, Lock Haven University. 58 x 67" each - Acrylic on canvas. at Ulmer Hall, Lock Haven University. 58 x 67" each - Acrylic on canvas.